Pope Francis on Friday made a surprise visit to a group of Poor Clare nuns at their Monastery in the central Italian region of Umbria. 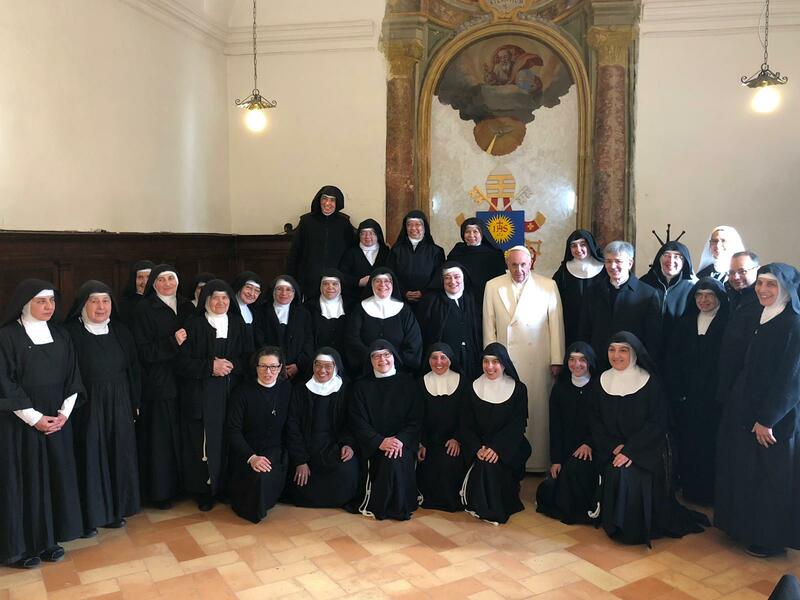 A statement released by the diocese of Foligno revealed that Pope Francis visited the nuns of the Vallegloria Monastery in Spello, who had come to see him in the Vatican in August 2016. On that occasion he had handed them the Apostolic Constitution “Vultum Dei quaerere” - On Women’s Contemplative Life - symbolically giving it to all cloistered orders of the world. During the private and informal visit, the Pope celebrated Mass together with Bishop Gualtiero Sigismondi of Foligno, spent some time speaking freely and informally to the religious and then had lunch together. He made the two hour car journey back to the Vatican in the early afternoon. Bishop Sigismondi described the joy and the amazement of the nuns when Pope Francis suddenly turned up – unexpected – at their doorstep. He said the Pope had expressed admiration and interest for the vocation and charism of the contemplative community in Spello, where the Poor Clares are amongst the most ancient orders to follow the legacy of Saint Clare of Assisi. “Before leaving, as we prepare to celebrate the feast of our Patron Saint, the Pope blessed the whole Diocese of Foligno” he said.